About 23 years ago, a researcher by the name of Richard Lenski started a long term experiment. It’s still running. He started with Escherichia coli, a common bacteria in the human intestinal system, though wild versions can cause disease. Every single day, for 23 years, he or one of his lab assistants has extracted E. coli from the flasks in which they are living and placed them into fresh flasks with just a nutrient solution. Every 75 days, or 500 bacteria generations, they deep freeze a population sample from every lineage. They can literally trace the lineage of every single bacterium in their lab. Not too long ago, they reported something amazing. One of the defining characteristics of E. coli is that the bacteria cannot metabolize citrate. This is so well known and understood that it is used as a test to see if a bacterium is E. coli or Enterobacter aerogenes (for example, which is a soil bacterium). However, when Lenski looked at one of his flasks, which uses citrate in the medium, he saw it was cloudier than normal. In fact, at about 31,500 generations, one of the populations of E. coli had evolved the ability to metabolize citrate. Now, that’s very cool for 2008, but what have you done for me lately? Oh, it gets better. Remember that they freeze the bacteria every 500 generations. So, one of Lenski’s people, started going back and taking some of the old populations and starting them growing again. They found that several populations after generation 20,000 eventually evolved the citrate metabolizing trait. However, no population prior to generation 20k evolved the citrate trait. So, sometime about generation 20k, something happened… something wonderful (bonus points if you can identify the quote). Again, this was several years ago, so again, I ask, what have you done for me lately? Enter the latest study from Lenski’s lab. Pretty soon, they’re just going to make a peer-reviewed journal for lab’s work. I need to e-mail Lenski and see if I can get a copy of his report… Nature is rather expensive for a lone blogger (if anyone would like to donate, that would be awesome). Anyway, remember those frozen samples? Well, they broke those out again… and sequenced the genomes. What they found was several potentiating mutations. Only the populations whose ancestors had those mutations (two of them) would become citrate users. The next stage was actualization, that is, the bacteria first became able to utilize citrate. It wasn’t a lot and it wasn’t very efficient. But those particular bacteria had an epic advantage over any other in their culture. They could use a source of energy that none of their competitors could use. The population exploded, resulting in the cloudiness of the flask. During this stage, a mutation occurred. This wasn’t a simple point mutation, like what occurs to generate sickle cell anemia. This was a complex mutation that literally rearranged a part of the bacterial genome. Part of the genome was copied and two sequences of DNA were linked together in a new way. This change created a new TWO-PART biochemical pathway that allowed citrate to get into the bacterium and then to allow the citrate to be chemically metabolized. This new protein pathway has never existed before and may never occur in any E. coli population again. It’s a combination of improbable chances. But it happened. This is a stunning result. Oh wait. It can. It did. It’s right there. A complex genome rearrangement resulting in two new proteins that create a new multi-protein regulatory module that never existed before. Now, since this has indeed occurred. It’s a perfect opportunity for the IDists. This is the thing that they should have been waiting for with baited breath. This is the one. Lenski’s lab has detailed sequences. They know, to within 75 days, when all these mutations occurred. They know what sequences where changed. They have frozen samples that show all this. All the IDists have to do is find the evidence that a designer purposefully manipulated the genome. If it happened, then it’s in that data, in those organisms, somewhere. Get to work IDists. I won’t hold my breath though. Great paper. Clearly not a ID paper is it has real data, results, mechansims and actual research! Kevin you are lying again. Intelligent design does NOT say “Evolution can’t develop multiple mutations that don’t do anything, but eventually turn into something useful. ” ID does not argue against evolution. And tehre isn’t any evidence that the mutations were blind and undirected. Not only that the E coli already had the machinery in place to metabolize citrate. They just couldn’t get the citrate into their system. So that is what happened. And the way it happened sugegst it occurred, not by chance, but via “built-in responses to environmental cues”. No new protein machinery evolved. Nothing happened that refutes YEC’s baraminology. So Kevin is once again lying about ID and overselling evolutionism. Joe, Michael Behe says it. You have said it. This article completely defeats your claim Joe. You made the claim. Oh and BTW: You are aware that bacteria (and other cells) have built in mutation factors that radically increase the mutation rate when certain environmental ques occur. Is the mutation luck? Arguably yes, Because it’s random. Of course, selection isn’t random and that’s part of your personal problem with evolution. But we aren’t arguing about it, Joe. Honestly, in my experience you know as little about ID as you know about science. And you refuse to engage the IDists who say something that is different than what you say. But that’s OK, keep rocking it Joe. Oh and thanks for admitting you’re a YEC. If you write up a post on the evidnece for baraminology, I’ll happily share it. No, Kevin, I NEVER said it And Behe doesn’t say it. And how did I admit I am a YEC? Just because Lenski’s experiments support baraminology does NOT mean I am a YEC. But thanks for exposing your dishonesty. You being a contributor to a YEC website and your time as “John Paul”, plus your support of baraminology and failure to accept an old earth make you a YEC, Joe Gallien. Only one who accepts the Bible as the authority on things can be a YEC. I do not hold the Bible as any kind of authority. I have no reason to think that earth is only 6,00-12,000 years old. But yes I helped Luke understand the debate and that was it. And baraminology is supported by the evidence, it isn’t supported by me. Old earth- again the age of the earth depends on how it was formed. Quality YEC science denying, there. And I’m sure congruent with your favourite, Baraminology! What science am I denying? Age of the earth. Lack of evidence for a global flood. No one knows the age of the earth. Just because you are a fool’s fool doesn’t mean the science is right. And I don’t care about a global flood, however the same evidence is used for a snowball earth. I’ve asked this before Joe, what is some of this evidence that supports baraminology? Tell you what, define baraminology and provide 23 broad pieces of evidence that support it. This experiment- the beak of the finch, anti-biotic resistance- geez I don’t know of any evidence that refutes it. And I thought you knew all about your opponents’ positions and yet you are admitting ignorance of baraminology. Do you know how to use a search engine? Notice that Kevin did NOT reference any IDists making the claim he said we made? Also ID does NOT require any designer to manipulate the genome any more than we need a programmer present to manipulate a computer buss. As I have been telling Kevin the manipulation occurs via internal programming- ie “built-in responses to environmental cues”. The mutations- just look how it occurred. And then try to produce a testable hypothesis that is was just blind and undirected processes. Joe, did you read what I wrote? The description of how this mutation group actually occurred? That is the evidence that you want. Out of 53,000 generations, there is only one group that developed the ability to utilize citrate. That part is random. We all know it to be true. The problem is that you don’t accept the selection part of the equation, which results in those few individuals (or even one) that can utilize citrate having a massive population explosion. I note that you didn’t provide any evidence for your front-loading or built-in-responses. Isn’t it interesting how, if it actually was a ‘built-in response to environmental cues’ how only one group out of all the millions that exist in Lenski’s lab has developed the citrate trait? Isn’t it interesting how organisms taken before the 20k generation marker can’t develop the citrate trait and that only some organisms from the after 20k generation can? I read the paer. I do not listen to you as you don’t know what you are talking about. And just because only one group developed the ability does NOT make it random, Kevin. And again natural selection is a result. It doesn;t do anything. Also all the timing means is A) it was a difficult problem to solve and B) the starting colony was not the correct population so it took it some time to get going. Ya see Kevin only ONE bacterium needed to find a solution. You keep saying things that don’t make any sense. 1) your ‘evidence’ for built in responses is nothing of the kind. Some evidence that E. coli had a built in response that would allow it to begin utilizing citrate in a nutrient poor, citrate high environment would be that all the bacteria started using citrate. Didn’t happen that way. 2) “Selection” is a process. I really don’t understand why you say that “selection” is a result (other than not knowing how scientists use the word. Natural selection is the gradual, non-random process by which biological traits become either more or less common in a population as a function of differential reproduction of their bearers. mutation, migration, and genetic drift. 3) The timing is what basically what evolution says should happen. If the problem was “difficult to solve”, then the organisms didn’t have a built-in response to that environmental cue. Thanks for the own goal there buddy. Your “B” is what evolution says too, therefore it’s not discriminatory between evolution and whatever it is that you say. You’re right (shocking) only one bacterium needed to evolve the modified protein pathway. Then it took over the population, just like evolution predicts that it should. 3) you don’t understand why it’s important something be discriminatory between what ID ‘predicts’ (there are none) and what evolution predicts. But that’s OK, Keep those own goals coming. Nope, that is false. Bacteria just need ONE to survive. I have provided references that say it is a result, including UC Berkley. You, a known liar on an agenda, definitely don’t get to say what ID claims. Evolutionism doesn’t make any predictions. I have provided references that support what I say about natural selection. YOU have never provided anything but you. If there wasn’t any advantage until the system was completed then natural selection did NOT have a hand in it and it was all sheer dumb uck. And as I said that ain’t science. So unless you or Lenski can demonstrate some advantage along the way then you cannot call upon selection to help you. But then again you don’t seem to understand the theory of evolution. Joe, you still don’t understand evolution do you? Did you read what I wrote. It’s called a potentiating mutation. I mentioned that in the article. Perhaps you should read up on gene flow, genetic drift, and the founder effect. BTW: I’m going to ask here and now, in front of everyone, for you to state your notion of Intelligent Design and your evidence for it. I’d like (but I know you won’t) for you to include who you think the designer is (and supporting evidence), when he last acted (and supporting evidence), how he did what he did in his last act (and supporting evidence). Since we’re talking about Lenski’s work here. You seem to be claiming that evolution cannot have done what is claimed in Lenski’s work. Therefore, you need to show us, how, in all this data, the designer did whatever the designer did. Let’s you start showing some positive evidence for once. OK genetic drift is NOT natural selection. You seem to be claiming that evolution cannot have done what is claimed in Lenski’s work. Stop with your cowardly equivocation already. Also I am asking for you to support YOUR claim that it was natural selection and genetic drift that didit. Strange that you cannot do so. It appears all you can do is rely on sheer dumb luck. That said who the designer is is irrelevant to ID, when it acted and how it acted are also irrelevant. Ya see Kevin before we can answer those questions we first have to determine design and then study it. That is because reality says that the only way to make any determination about the designer(s) or specific processes used, in the absence of direct observation or designer input, is by studying the design and all relevant evidence. Now I have told you that many times and you just ignore it because you are obvioulsy ignorant of science. As for supporting ID, including evidence, I have provided that a planty on my blog and other people have also done so. No Joe, Genetic Drift is not natural selection. Try to remain on topic here. You made the claim that if a mutation was not advantageous that “it was sheer dumb luck”. But it’s not “sheer dumb luck” because there are other processes involved. Joe, That’s your second warning on your new sock. My evidence is in Blout’s paper. You don’t have a single bit of experimental evidence. If you have indeed shown that evidence, then provide it here. Are you going to describe how you think evolution can’t do something, therefore it must be design? That’s a logical fallacy Joe. Are you going to describe how you counted the characters in the definition of Aardvark and multiplied by 5 and determined that the definition is specified? Umm natural selection includes random mutations. And natural selection doesn’t do anything, well until there is an advantage. If those poyentiating mutations don’t do anything until the rest comes along then NS has nothing to say about them. Hence RMNS, which is the whole system, Joe. There wasn’t any advantage until the whole system was present. Therefor NS had nothing to do with getting it. Sorry Joe, this isn’t an abiogenisis experiment. Sorry! Then why do people use RMNS in NS contains RM? Whoops! Why anyone takes ID seriously enough to even bother refuting it is beyond me. The Uberkely page you quoted.. here’s the sentence immediately in front of the one you quoted. Second, it’s more accurate to think of natural selection as a process rather than as a guiding hand. Now, we can play dueling quotes all day long. But that’s the same thing as your claim that ID isn’t anti-evolution. You’ll quote mine, I’ll refute, it’s a big waste of time. Selection means to select. It is a process of choosing. It is not 100% random. Therefore, your claim is simply wrong. I understand that you would rather argue about the meaning of words than provide evidence to support your claims. It’s OK. I understand you don’t have any. Kevin, Natural selection is the result of three processes and nothing you can say will ever change that fact. And there isn’t any selection taking place- man you are gullible. If there isn’t any selection taking place, why do some reproduce better than others? Design theory—also called design or the design argument—is the view that nature shows tangible signs of having been designed by a preexisting intelligence. It has been around, in one form or another, since the time of ancient Greece. IOW ID claims that Complex Specied Information, not Shannon’s “mere complexity”, is an indicator of agency involvement. IOW just as archaeologists claim that artifacts require an artist and just as forensic scientists claim a murder requires a murderer, ID claims that CSI requires a designer. Dembski (2002) has used the term “complex specified information” (CSI) as a synonym for “specified complexity” to help distinguish functional biological information from mere Shannon information–that is, specified complexity from mere complexity. This review will use this term as well. “How did it come to be this way?” and ID claims that agency involvement was required. a) Define ‘information’ in this context. 1) How do you measure the information content of an organism? What units is it in? What do you measure (just the DNA, because then you’ll miss some no-DNA directed changes to proteins)? What values indicate “high information content”? Why? 2) Excellent, what is the information content of say yourself? Are you aware the evolution can result in a system that, looking at it without the lens of history, appears to be irreducibly complex? State an irreducibly complex system. 3) Bafflegab. You’re assuming what you are trying to show. 4) This isn’t a conclusion. It’s a claim. Define “complex specified information”. How is it measured/determined/identified. If I provide you with a random sequence and a highly specified sequence, can you use your knowledge of this to determine which is which? Can you show your work? Forensics and Anthropology know who the designer is. Further those areas of knowledge understand the limits and skill sets (and how they have changed over time) of their designer. Who is the designer of all living things on Earth? What is the evidence to support who you think it is? How does this designer create CSI? When was the last time this designer acted? How do you know? What did the designer do? How do you know? What tools did the deisgner use to do the last thing he did? How do you know? There. Answer all those and we might actually have a conversation. But I know you can’t. Do you know how I know that you can’t answer a single one of those questions? You haven’t answered a single one of those questions in over two years Joe. Not in any meaningful way. You know what? Dembski and Meyer can’t answer them either. They have been asked for almost a decade… nothing. Total silence. Here’s your chance Joe. Here’s your chance to do what no ID proponent has ever done. Show me how to use the notions of Intelligent Design; CSI, information, irreducible design, all that stuff. Walk me through it, step-by-step. Pick an organism. Explain why you picked it. Show us the information content of the organism. Explain the units and why it has ‘high’ or ‘low’ information content. If you use the 500bit limit, explain why (keeping in mind that less than 100 random characters also contain 500 bits of information (at least in terms of Shannon Information). Now, do this here… or admit that you can’t. Everything. Don’t say “That’s not important to ID.” Everything in this list is a direct result of YOUR post on ID. Show us. Show us or walk away and admit you can’t. determine which is which? Can you show your work? know? What tools did the deisgner use to do the last thing he did? There. Answer all those and we might actually have a conversation. single one of those questions? through it, step-by-step. Pick an organism. Explain why you picked it. result of YOUR post on ID. Show us. Umm I hav defined information in this context. I have been over and over this stuff with you. I have done everything you have asked. I have shown you how to measure biological information. I have done so with an organism. And I have provided you with links to all of that. OTOH you cannot tell us anything. You cannot tell us how many mutations it took to get a fish-a-pod from a free-swimming fish. You don’t even have the guts to take fish embryos, mutate them and see if you can get a fish-a-pod to develop after generations of real selection. Heck you sit there and say, out of one side of your mouth, that ID is anti-evolution and out of the other you say that the theory of evolution is NOT the blind watchmaker thesis yet the only way ID is anti-evolution is if and only if evolution is defined as the blind watchmaker thesis. And when that is pointed out to you all you do is try to change the sunject or have me banned or censored. And yet there isn’t a single link to support these claims. This isn’t about evolution Joe. It’s about ID. Forget evolution. Fine, you win. Congratulations. Now show us some ID science. ears, and heavy tail and feeds especially on termites and antsA simple character count reveals 202 characters which translates into 1010 bits of information/ specified complexity. required and translate that into bits. That is if you want to use CSI. I have, in my hand, a pen. It’s a Pilot G-2, 0.38 point, black pen. You can get a 3-pack for $1.50 at Target. How much information is contained in the pen? Tell me how to calculate or measure it and I will do so. Then you do so and we will compare values. Does the pen contain more, less, or the same amount of information after I write a word on a piece of paper. If I take the rubber hand-grip off, does the pen have more or less information. What happens if I put the rubber hand-grip back on, does it contain more or less information. Let’s go Joe. Tell me how to do this. Don’t worry about it being too complex, I’m sitting next to three people with Master’s degrees in mathematics and I can pick up the phone and call 6 or 7 people with Ph.D.s in statistics. I can handle the math. Just tell me how to do it. The amount of information in the pen is the amount it take to make it, just as I said. Are you saying that you cannot follow simple directions? And once you reah 500 bits you have determined the pen was designed. Congratulations. Why don’t your mathematicians tell us how many mutations it takes to get a human from a knuckle-walker/ quadraped? No joe, you have never measured “biological information with” (or in) an actual organism. You have only made a fool of yourself by claiming that the “biological information” in an organism is measured by counting the bits or letters (or whatever) in a very general dictionary definition of an organism. And you have run away when you have been asked many times if the amount of “biological information” in the organism itself would be any different if the dictionary definition contained different wording or if the same definition were written in a different language . So joe, which one of these animals has the most “biological information” in it? Is it the one with the most letters in its definition? 1. A burrowing mammal (Orycteropus afer) of southern Africa, having a stocky, hairy body, large ears, a long tubular snout, and powerful digging claws. 4. a large, nocturnal, burrowing mammal,Orycteropus afer, of central and southern Africa, feeding on ants and termites and having a long, extensile tongue, strong claws, and long ears. And which one of these organisms has the most “biological information” in it? Is it the one with the most letters in its name? You’ve got NO room to complain about changing the subject or being banned or censored. You constantly change the subject, you regularly ban and censor people on your anti-evolution blog, and you have no problem with UD (your favorite sanctuary) sanctimoniously banning and censoring many people who have questioned or challenged ID or just didn’t answer a loaded stupid question the way barry arrington demanded they answer it. Besides, you actually deserve to be banned from the entire internet due to your deplorable behavior on every site you infest. That’s a very sciency reference, FK. Nothing says “quality research” quite like an opening sentence full of insults. It looks like just an abstract, though – do you have a link to the full article? You know, the thing with all the positive evidence you (or Joe G, whoever he is) are hinting at? Back to school for synergy and emergence, I think. Of course the extension of this is that ID holds that components can never form systems. Rivers, streams lakes and oceans must be designed. Oh dear, Richie doesn’t know what a testable hypothesis is. You know ID would go away if someone could support evolutionism…. Thanks for admitting its a negative argument. Not science! next? Thanks for admitting you are still clueless- Yes the design inference mandates eliminating evolutionism. But it still has to meet the criteria, ie the positive evidence. Just as with archaeology and forensics. And stop using the word “science” as it is obvious that you have no idea what it means. ” Yes the design inference mandates eliminating evolutionism” – great. so It’s not science and is a wholly negative argument. Next? Frisbee now is you chance: If you say that the mutations weren’t random you must mean that they were guided… If so please identify the guiding system (agent), show how it acted in the Ara-3 population and in contrast please show how it failed to act in other colonies. Lastely for bonus points please indicate the nature (chemical, natural or other) of the agency involved in determining mutation. The guiding system is the internal program. And maybe it was working in the others but they didn’t find the solution. You have to remember the bacteria of today are well removed from the originally designed bacteria. So I wouldn’t expect them to react as if they were. It all comes down to the OoL- if the OoL was designed then organisms were designed to evolve/ evolved by design. And gene duplications and recombinations would be design mechanisms. And no one determines anything. Just as the programmer of the GA used to find a specific antenna configuration didn’t list the steps, just the solution, the designer need not determine anything. So, here you are saying that evolution and everything about it works. Your magical designer just started life on Earth. So Lenski’s experiments do show evolution. If they don’t then either A) the information isn’t front-loaded or B) the designer does intercede often. Which is it? 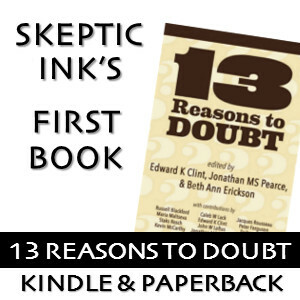 because Behe has said that the Lenski experiments don’t show evolution. Now, for the other part, how about I provide you with a genome. Since all the information is front-loaded (it must be otherwise, you must accept evolution in all its particulars), then I’ll provide you with a complete genome. Heck, I’ll even give you a complete genome that was designed and you tell us all the future abilities of the genome. It’s called ‘prediction’ and evolution has it, ID doesn’t… unless you show us it does. Again, Intelligent Design is NOT anti-evolution. And your strawman means nothing. So why don’t you tell us how it was determined the blind watchmaker didit- and Behe has said, and I quoted, that Lenski’s experiments show evolution. The experiments show how trivial it appears to be. So stop lying about Behe. Hi joe g (frisbee_kid), I see that you’re down to your usual game of not providing any positive arguments or evidence for ID, and are still expecting scientists to prove every evolutionary step or process from the beginning of time right up to the present day, and if they can’t ID ‘wins’! Why is it that you always runaway from challenges and questions? Don’t you have any confidence in your position? I would think that you would jump at the chance to demonstrate the alleged explanatory power and predictive abilities of the ‘ID inference’. Instead, you just attack evolutionary theory, move the goal posts, construct and swat at strawmen, redefine words to fit your bald assertions, ignore correction and everything else that conflicts with your beliefs and agenda, play every childish game imaginable, and get belligerent or even threatening when you don’t get your way. Wouldn’t it be a lot more productive if you would stick to supporting your position and could actually do so? I’m sure you will come back with the worn out claim that evolutionary scientists and science enthusiasts have no evidence and do nothing but attack ID, but that would be ignoring mountains of well established scientific evidence and the enormous knowledge that has been acquired and shared by thousands to millions of hard working professional scientists and others who study nature day and night around the world and even in space. And speaking of your position joe, I’m wondering what scientific research you’re doing on the OOL? Will you please describe the scientific methods and tools you’re using to determine how life came about? Will you describe in detail the novel evidence your research has produced and the novel predictions you have made and can make based on your research and evidence? If it’s easier for you maybe you could just point me to all the papers you’ve authored that have been published in scientific journals. I’m very excited about the prospect of seeing the revealing results of your vast scientific research. Hi TWT, I’ve eliminated Joe. I’m just tired of dealing with him. We’ve been having the exact same argument, using the exact same words since early 2010 and other shave doing the exact same thing for longer with him. Sorry you missed the fun. If he had provided the actual evidence he claimed to have or answered any of the questions anyone asked, then I would have let him stay. I’d rather have a low comment count than deal with Joe anymore. If he decides to actually answer those questions or deal with the issues, then he can post it at After the Bar Closes and if it’s good enough, I’ll even post it here and all him back to defend his work. We both know he’ll never do it though. Hi Smilodon, I realize that joe got the boot (good riddance) but I still wanted to respond to some of his remarks. I know that joe won’t listen or change his ways but I was also thinking of the ‘onlookers’ when I responded to what joe said. And like you said, joe can always respond to me or anyone else on ATBC. By the way, you’re doing a great job here. BTW Everyone, remember you can upvote and downvote comments with the up and down carat symbols underneath a comment. That would be caret rather than carat which a measurement of weight. Also one term you used was ‘baited breath’ which should be ‘bated breath’. that is not due to heritable random variation. that whatever is good enough gets through. So, you’ve almost successfully described how evolution works. Umm,,, just out of curiosity, where you aware that the citrate was used in the growth medium as a chelating agent, I believe to remove certain ions, and not as a ‘selection pressure’? Not, I guess you didn’t realize that the point of this 23 year experiment was NOT to evolve a bacterium that could consume citrate. That was just a happy accident. E. coli as a species23. BTW: I note that you haven’t answered a single question posed to you yet. You’re running out of time. You’ve made claims and statements, it’s your turn to start talking about them. I’m not going to spend the rest of this blog defending scientists from a former toaster repairman. It’s time to start defending your position. That list of questions is a good start. If you can’t answer those questions, then there’s not much point in continuing. Even if you completely and utterly discredit evolution in this thread (which you are in no danger of doing), it doesn’t mean that ID is correct. Only positive supporting evidence can do that. Some of that supporting evidence would be doing something useful with ID. Start doing something useful or admit you can’t. Kevin, Anything in its environment would be a selection pressure. And the fact that it was not the sole selection pressure or the sole source for nutrition is why not all in the colony needed or attempted to change. And again science mandates that ID eliminate necessity and chance regardless of if evolutionism existed.. And we have provided supporting, ie positive, evidence. You don’t seem to know what evidence is. And you can’t understand that I am specifically refuting points you, yourself make. You stated that citrate was an artificial selection pressure APPLIED BY LENSKI. That is not true. The citrate was in the flasks because E. coli doesn’t use it. Not to create an artificial selection pressure or anything else. Tell, you want though. Let’s get back to ID. What did the designer do to make the E. coli able to utilize citrate in Lenski’s lab? 1- Did Lenski put the citrate in the flasks? 2- Is what in the environment part of the selection pressure? And it doesn’t matter what it was for. The fact remains it was present and the bacteria obvioulsy reacted to it because it was present, ie in the environment, which means it is a selection pressure. anything in the environemnt is a selection pressure Kevin. And designer gave bacteria the ability to react to its surroundings- just as I have been telling you. DESIGNED TO EVOLVE/ EVOLVED BY DESIGN. BTW: Did you ever ask Mike Behe why he thinks ID doesn’t have a mechanism. You keep saying that design is a mechanism. Or is that you don’t think that design has a mechanism and Behe does think it is a mechanism. I never can keep all that straight, because Behe has said both… in court… under oath. So which is it, is design a mechanism? Seems kind of funny to say that selection isn’t a mechanism when you also claim that design is a mechanism. Of course the reverse is true too. Oh wait, right below this you say that selection is mechanistic. So is it design that’s not mechanistic? Sorry dude, you’re just confusing. You might want to learn what these words actually mean and use them correctly. Sorry, but Behe stopped being a legitimate source scientific information about 15 years ago. YOU have never been a source for scientific information. Design is a mechanism by definition. Don’t blame me because definitions confuse you. So, let me know when you explain to Michael Behe why he’s wrong. I’d like to see it. Umm just because Intelligent Design does not say does not mean that they do not exist. So Behe was right. And so am I.
ID is NOT about the specific mechanism. And what Behe says in no way negates the FACT that design is a mechanism BY DEFINITION. And guess what? Artificial selection is a design mechansism. Genetic engineering is a design mechansim. A targeted search is a design mechanism. Just because ID is silent on the toic doesn’t mean we have to be, duh. This post was from March 2010. OM asked you how much information was in an actual aardvark (not the definition of ‘aardvark’). You did not respond with a value. Nor did you respond with a method for obtaining the value. Later, you were asked in an aardvark had just eaten a bunch of ants, how did that change the information content of the animal. You’ve never answered that Joe. When you measure the information in an organism, do you only measure the genome? If so, you lose a lot because there are non-genome based changes to proteins that can occur. How does ID handle this Joe? It’s been almost 30 months Joe. Stand up and defend ID. And yes I know we are mssing information by just measuring the genome but your position cannot account for the genome let alone all the other stuff too. I am more than defended ID. I have exposed you lies and strawmen along the way. You still haven’t supported your claims in this OP- you have not referenced any IDist making the claim you said. And yet, there still isn’t any information on how to calculate the information contained in an aardvark. This is so beyond me now Joe. This is all about you. Congratulations, you have successfully defeated the materialist Darwinist sympathizer. or admit you don’t have a clue. Please be specific and tell me what is wrong with my instructions. r is being a little baby still the best you have? And you do realize that if you could just support evolutionism ID would go away- Newton’s four rules of scientific investigation and all. This is my absolute favorite own goal from Joe. Again, Intelligent Design is NOT anti-evolution. I think we’re done here with Joe. He still refuses to teach us anything at all about ID. After having most of the day (and a dozen comments or so) we still don’t know how to done the measuring and calculating he claims that he’s not only done, but done several times. Now he’s descending into personal attacks. So Joe, I’ll give you one more chance. I’ll even post the complete list of instructions and examples on this blog as a guest post. But your next post had better a complete description of how to calculate or measure the information, CSI, etc for a complete organism. You said you have done it. Now explain it. Put up or shut up, Joe. Last chance. To everyone else: I’ve been having these exact same conversations with JoeG for over 30 months now. They haven’t changed and since March of 2010 his sum total of calculations is adding up the letters in the definition of the word aardvark, then multiplying by 5. That’s it. If you can do the things you claimed to Joe, then you can continue. Otherwise, we’re done. Umm evolution is one thing. Evolutionism is another. And perhaps you are incapable of learning as you don’t seem to understand natural selection. And Kevin, you should look in the mirror- because you are describing yourself- unable to learn and only able to misrepresent. You ban me because I expose your lies- you still haven’t supported your claim wrt Intelligent Design and this experiment. That’s what I thought. Bye Joe. Don’t come back and don’t sock it up. almost 3 years and you still can’t describe how to do the one thing that you claim ID can do. Sorry if I am going over old ground here, as I have not read every comment. I have to pick Frisbee_kid up on something here (the man does rational disservice to the sport of ultimate, which I used to play a lot of). It seems he is claiming E Coli have built in enviromental cues. This is patently ridiculous as the environments, given the sheer volume of specimens in the same environment, have remained consistent. The cues, if they are deigned in, would react, like any situation-action machine, to a given input in order to produce a given output. This has clearly not happened since it took generation upon generation for the citrate ability to materialise. This is only predictable on a randomised model of change to the organism. There really is no other rational explanation (let’s face it, kid’s theory is nothing more than a definition of ad hoc) for the sudden and apparently random development of the new ability. It is simple causality. I can only see kid’s reactions here in light of a presuppositional approach to disbelieving evolution. Without that outrageous bias, evolution provides the obvious answer. Look, I was never a particularly avid believer or non-believer until more recent years. In fact, I used to be a Christian. But I learnt science without thinking I had a need to fulfill a conclusion that I had already made. Which is why I simply cannot understand people who deny evolution, apart from in the context of necessity due to other beliefs. Sad really. It reminds me of my theologian mate who wouldn’t believe evolution and wouldn’t take heed of any of the evidence or arguments from me. He used to spout stuff similar to Kid. One day he got into an email conversation with Simon Conway-Morris, the famous theistic evolutionary biologist. After that, and on hearing THE SAME arguments but from a person of perceived authority, he became a theistic evolutionist himself. It’s a shame that beliefs are led more usually by psychology and cognitive dissonance than by an honest search and appraisal of evidence. Joe is gone. Again, I don’t do this lightly, review his thread at AtBC if you like. If one person (who isn’t a sock) will recommend that he be allowed to post, then I will allow it. I’ve had many conversations with creationists. Some where even productive and I’ve had to ban any of them. Just Joe. Did you guys take a look at the supplementary information to the paper. It has alot of very interesting information. I have a question regarding the paper. I noticed that on the suplementary information figure 2 indicates increase in information (size of genome) for CIT+ am i correct in saying this? Does table 9 also indicate this increase? My understanding is that there was a gene duplication event. The paper specifically mentions duplications like this and being ways that the same function can continue AND the gene be mutated to do something else. In the classical sense, then yes, the information has increased. Since creationists deny that it happened, I don’t know if the information increased by their definition… whatever that is.